I have always been a big fan of high waisted pants, I love how it instantly enhance any type of silhouette. I found this pair of high waisted trousers at Zara, one of my all time favorite high street store, and I simply fell in love with it. A carrot shaped high waisted pants with some buckle details and navy colored? To sum up, Zara’s design team knew what I was looking for! I also bought it because it’s a very versatile piece, the shape and the color go with everything but for today’s look, I kept it minimal. Simply paired with one of my favorite pinstripes shirt helps to balance the silhouette. I added a few black accessories, like my shoes and my new Paul’s Boutique bag, and I was good to go! Love this. I would so wear this outfit to work. Loving this outfit! Monochrome is the best! Loving this look. The pants are to die for. Perfectly paired with the striped blouse! Great choice, the trousers are great and fit you perfectly. Those pants are so chic! I love the waistline! 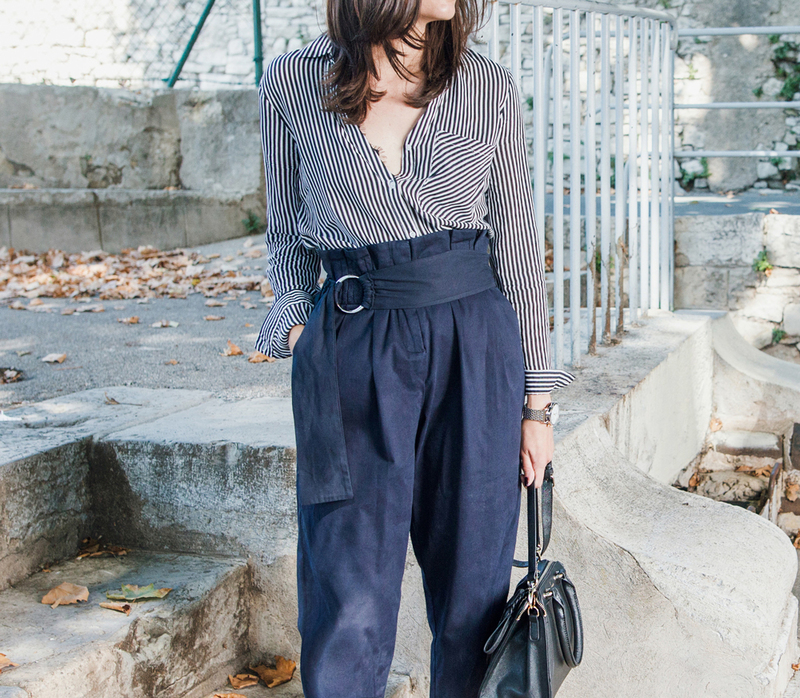 I absolutely love your outfit- I love this kind of structure and form of the pants.